Finally at the end of 2015 I now see Android smartphones with 64 GB internal memory. Earlier today Vivo X6 Plus was launched with 64 GB internal memory, plus a micro SD card slot. Since few years iPhone is available with 64 GB internal storage, infact 128 GB handsets too are available. Ok anyways, for the news in this article we have the AT&T Samsung Galaxy S6 Active now available in 64 GB variant. The Galaxy S6 Active was launched with 32 GB internal memory in June 2016 and it’s the rugged smartphone currently sold in United States via AT&T network. The carrier is selling the handset in three color variants: Camo Blue, Camo White and Grey. Apart from the two options mentioned above, you might know about the AT&T easy smartphone lending plans with AT&T Next. Yes, the company is selling the handset through EMI as well. You can opt for SGS 6 Active by paying $23.17 a month for 30 months. The Samsung Galaxy S6 Active is scheduled to receive Android 6.0 Marshmallow but it will not arrive before January 2016. So, still we need to wait for atleast two months time. 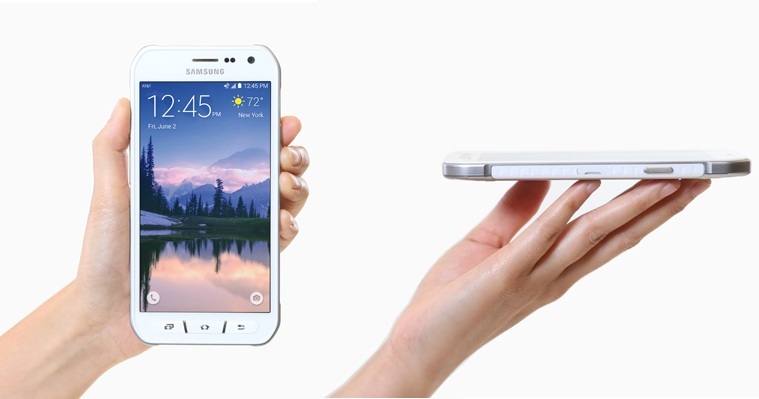 If rugged smartphone is your choice, then will you go for Galaxy S6 Active on contract basis? Head over to the link below to buy Galaxy S6 Active on AT&T.